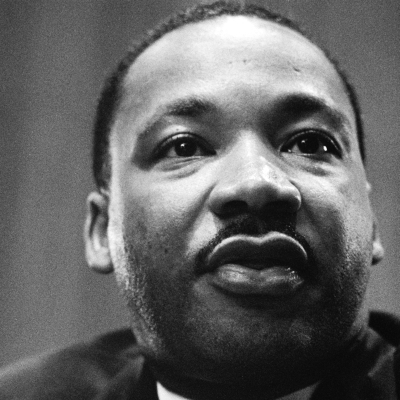 Martin Luther King told a story of how he was sitting in his kitchen late at night. The lights were all on and all of the curtains were open. He was shaken to his core because he had suddenly sensed deep in himself that if he continued in his struggles with the civil rights movement he was going to be murdered. His skin crawled and his hair prickled on his head. His mouth was dry and he felt as if his stomach was turning to water. In the throes of this shattering fear he began, gradually, to experience a new and exhilarating perspective. He suddenly knew with absolute conviction that no one could kill him. He understood they could kill his body, but he had a deep realization that who he really was was something independent of his body. He felt an absolute conviction that though his body could be destroyed he and his great idea could not be. In this moment he stopped fearing his death and became totally free to do exactly what he believed, no matter what the consequences.